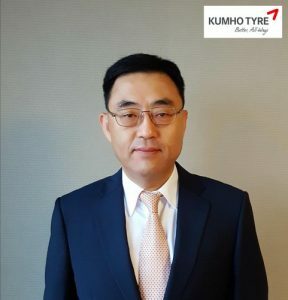 Kumho Tire has appointed Changrin Suk, 59, as its new European President, and he assumes responsibility for the company’s European tyre business with immediate effect. Suk has amassed many years of international experience from senior positions within Korean companies. He spent more than 20 years at Samsung Electronics and seven at Nexen Tire. As CEO of Nexen Tire North America he was responsible for its tyre interests in both the US and Canadian markets. Changrin Suk succeeds Charles Kim, who had been Kumho Tire Europe’s President since March 2015.